For the first time, HatchCare chicks have been born in the United Kingdom. The first chicks were hatched on 16 July in Boston, Lincolnshire, and were directly provided with feed, water and light post-hatch. 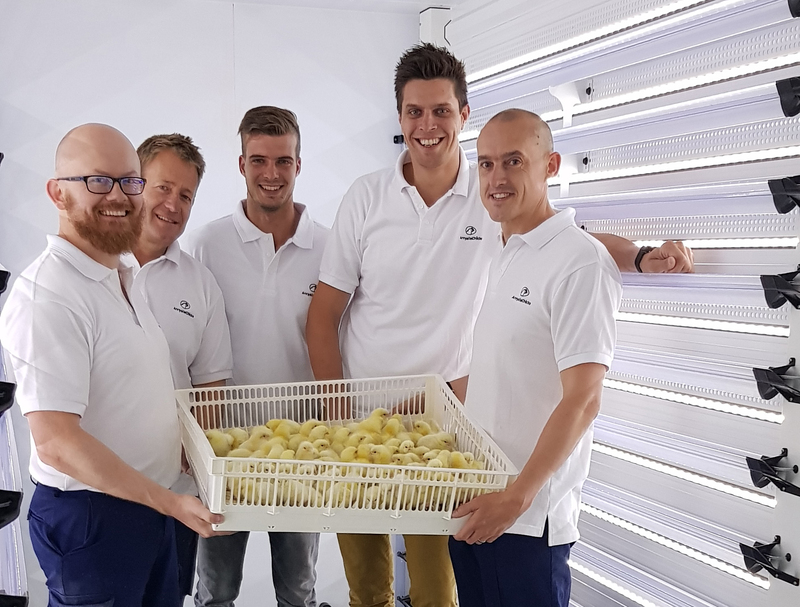 HatchTech commissioned the HatchCare hatchery together with Annyalla Chicks, a family business that runs independent hatcheries in Ireland and the UK. Besides building a HatchCare hatchery, Annyalla Chicks also commissioned a HatchTraveller. This HatchTraveller enables the chicks to eat during transportation, which will enhance chick quality and positively contribute to their development. The HatchTraveller will be supplied in September.